First of all, what inspired you to do this? Have you done fund-raisers before? And why the ACLU? BBB has done fund raisers in the past, but on a smaller scale (usually just the publishing arm of Birdcage Bottom Books rather than the distro). I’ve been an activist and vegan for most of my life, so I like to support worthy organizations whenever I can. BBB is very committed to equality and justice, two things that seem to be threatened by the current administration. We had a fundraiser prepared for December of last year just after the election, but our website ended up self-destructing. We ended up having to scuttle it in favor of rebuilding the website from scratch. That one was going to be divided between the ACLU, SPLC and Planned Parenthood. We’re focusing on the ACLU this time around not because the other organizations mentioned aren’t worthy or in need of donations, but because we wanted to simplify and streamline the fundraiser. It seems that the ACLU is going to be kept incredibly busy judging by the past two weeks, so we’re hoping to help out. Are all the publishers you distribute included in this? In other words, are there any comics on your site that aren’t included? Did you confer with the publishers and creators beforehand? If so, what was their reaction? The majority of the artists and publishers that we represent are included, but there are a few that are not. The profit margins on self-published and small-press comics is generally extremely thin, so although some wanted to participate it would’ve meant they might actually lose money. Some I simply didn’t hear back from. We did put a call out to everyone we represent and only included only those who agreed to participate. The reaction was overwhelmingly positive. All of the participants are listed on the promotional flier we sent out to our mailing list and posted on our Facebook, Twitter, Tumblr, and Instagram accounts. And finally, can you make some recommendations? Probably the most relevant new comic we carry is R. Sikoryak’s The Unquotable Trump. 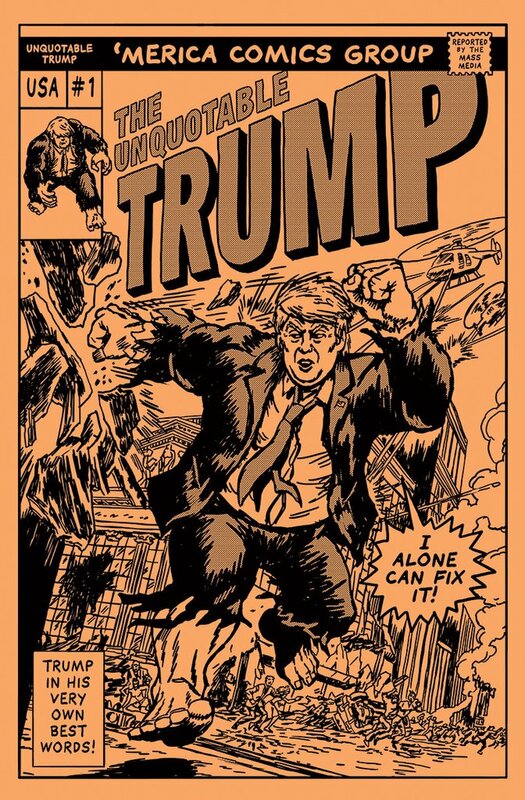 It collects his parodies of classic comic book covers featuring Donald Trump and his own actual words. I’m having trouble keeping this one in stock! 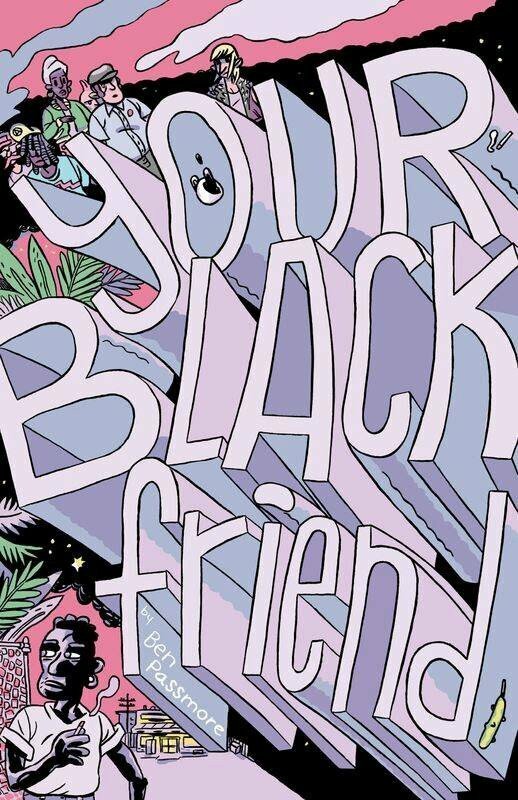 In the vein of current events, I’d also highly recommend Ben Passmore’s Your Black Friend, which deals with race and racism in an honest but not overly serious way. I should also mention how gorgeous it is aesthetically! There are a gazillion comics we carry that I could personally recommend (I curate what we distribute, so in all honesty I could recommend every single one of them), but I’ll just pick a couple that I’ve read recently that I found compelling. 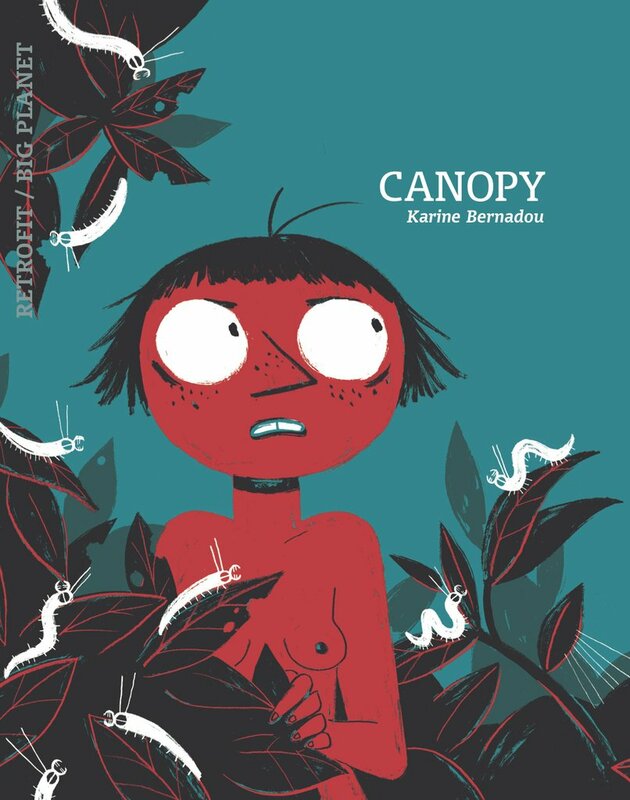 Karine Bernadou’s Canopy is a great example of something that couldn’t be pulled off in any other medium. 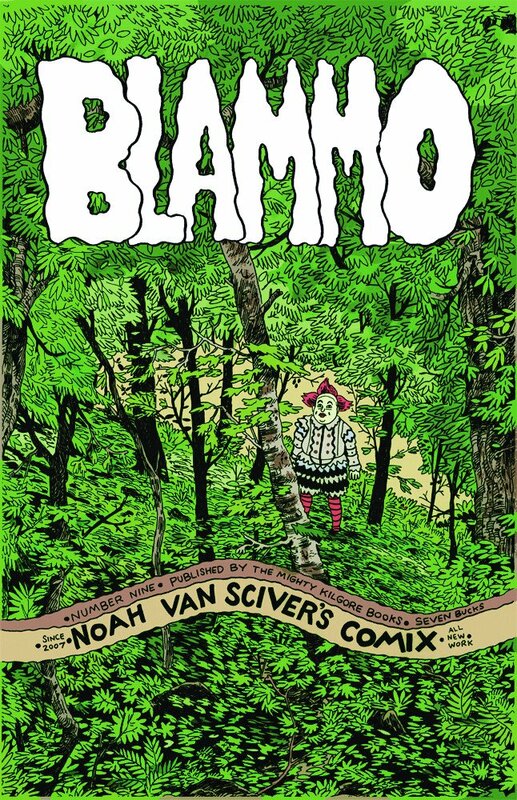 Noah Van Sciver’s Blammo #9 is Noah at the top of his game in terms of both storytelling and drawing. Every story in the collection is exquisite.